Are you searching for the leaders in stadium concrete repair in Virginia, Arlington, Fairfax, Maryland, DC or the surrounding areas? Whether your stadium suffers from cracks in the concrete, structural damage or other problems, concrete restoration is essential to ensuring the stability of your structure and safety of those who use it. Keep reading to learn why it’s important to repair stadium damage immediately, and where you can find a professional concrete stadium restoration service in the Maryland, DC, Virginia area. If you are ready to get in touch with a contractor call (301) 261-4933 for your free estimate. Or contact us here and someone will get back to you as soon as possible. 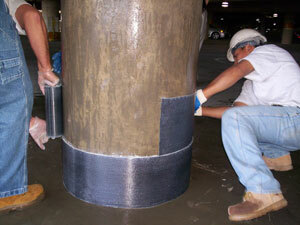 Like any concrete structure, stadiums need regular maintenance to remain safe and operational. The condition of your stadium will have a direct influence on whether or not organizations use your venue to host events. More importantly, you have an obligation to keep attendees safe with routine inspections and structural rehabilitation when necessary. Stadiums see a lot of foot traffic over the course of a year. With that much use, it is inevitable that surfaces will crack and damages will occur that require repairs. 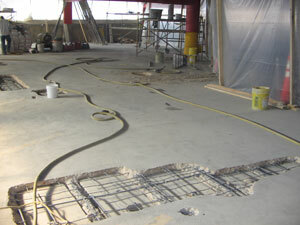 Stadium concrete repair can fix commercial concrete, including walls, columns and floors, ensuring that patrons, performers and stadium personnel can travel the building safely. If you’re unsure whether you need stadium crack repair or other concrete rehabilitation, schedule an inspection to assess the condition of your structure. An experienced concrete contractor can look at your stadium’s concrete surfaces and find imperfections that threaten the stadium’s structural integrity. By catching these issues early, the contractor can remedy them before they become larger and more costly. After having your property inspected, the contractor can help you decide the best course of action for your stadium structural repair. In severe cases certain parts of the structure may have to be replaced. If there’s only a small amount of damage a solution as simple as a routine epoxy injection might fix the problem. When considering which contractor will carry out the stadium concrete repair that you need, there are a number of factors you should keep in mind. Make sure you hire a company whose stadium repair contractors are both licensed and experienced. Versatility is another important trait to keep in mind. The contractors that you hire should be able to handle anything that you need as well as unforeseen problems that might arise during the course of the work. Concrete repair is a very involved process and requires a certain level of training and experience to make sure that the job is done correctly the first time. If you’re currently searching for a company that meets these criteria for your concrete replacement needs, contact Concrete Restoration Services today. 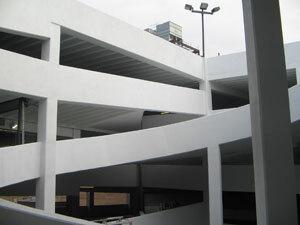 If your concrete stadium is in need of repair, call (301) 261-4933 and schedule a free estimate today. Or click here to contact us online and we will get back to you about stadium restoration as soon as possible. We’ve been working in the Maryland, Virginia and DC area since 1981 and understand what it takes to exceed your expectations with competitive pricing and the guaranteed work. Contact us today and learn how we can help you!